All Things Kevyn: Geek League of America Welcomes its Newest Member.....Me! Geek League of America Welcomes its Newest Member.....Me! Batman. Superman. Wonder Woman. The Flash, Green Lantern, Aquaman, Red Tornado, Martian Manhunter, Green Arrow, Black Canary, Shazam, Robin, Cyborg, The Atom. All great heroes and all members, at one time or another, of the Justice League of America, or the JLA if you will. And now, it is with both a humble heart and great pride, that I accept membership into this great organization. Thank you for this honour. It is humbling to be included within the roster of the aforementioned superheroes. But not to worry oh new teammates of mine, for I will not blemish the great history of the Justice League. I will make the Justice League proud. I will do my best to live up to this great honour you have bestowed upon me. I will honour their credo of great respons...um, what? Wait, what? Not the JLA? The GLA? Who the hell is the GLA!? Really? So I'm not going to be hangin' with Superman or Flash or maybe Wonder Woman? Not even Aquaman? Really? Okay. Okay. I get it. So, as I was saying, it is with both a humble-esque heart and great pride (?) that I accept membership into the Geek League of America. Really? Are you sure this is right? Yeah yeah, okay okay. The GLA it is. Okay, seriously kids - here's the dealio. As you may or may not know (and really, you should know by now) I am not one who writes exclusively for my own blog here at All Things Kevyn. Sure, this is the hub of the entity known as The All Things Kevyn Entertainment Network (Facebook page found here), but this ain't the only place to find the writings of yours truly. No sirree, not even close. I've written pieces for a place called Forces of Geek. I've done top ten lists for a place called Anomalous Material (sadly no longer "on the air"). I've done film reviews for several different sites around the web, including places with such names as Vigilant Monkey, Gone Cinema Poaching, and Plume-Noir. I've also written the occasional film review for Film International, as well as writing a column for local monthly rags, The Burg and Central PA Voice. Hell, I've written for my local newspaper, The Harrisburg Patriot-News as well. See, I'm popular. Anyhoo, these days my services are being rendered to several different sites. One is a local website called Today''s the Day Harrisburg, another is a place called ComicSpectrum, for whom I do weekly comic book reviews. And now, I add another gig to my resumé. This new gig, in case you hadn't already guessed after my rambling introductory paragraph, is a place called Geek League of America. This is a fun site with a bent toward the geek community. You know, comics, sci-fi and fantasy, gaming, superhero movies, horror, math rock. Wait, what? Yeah, all the general geek stuff. And, since I am the new self-proclaimed Emperor-King of Pop Culture (now there's a title that definitely needs to catch on! 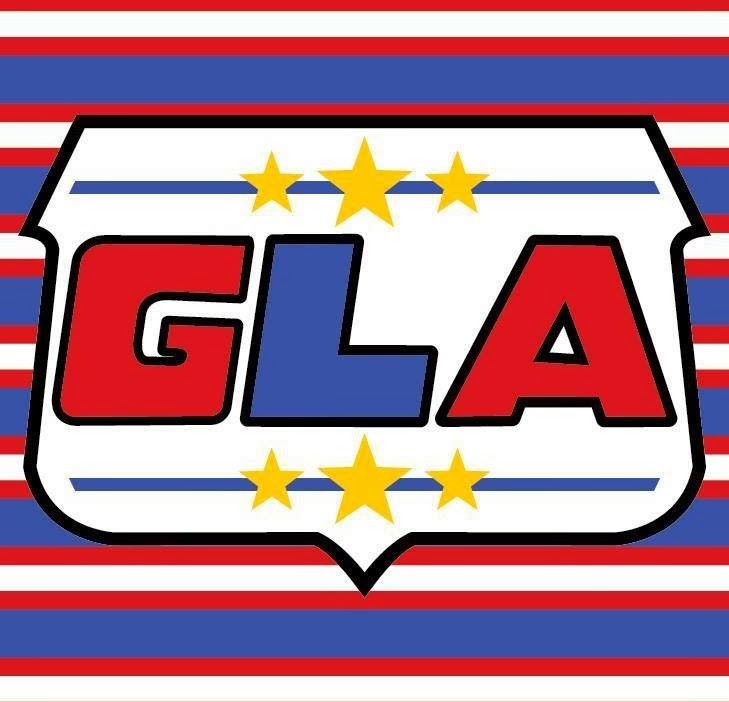 ), it is only right that I join the Geek League of America, or GLA if you will. So guess what? I did just that. Now you can check out a new top ten list by your favourite pop culture writer (that would be me btw) each and every week, right there on the GLA website. The first two lists published on the site are lists I have already done right here at All Things Kevyn. They act as a sort of primer to my greatness in list-making (I am the Emperor-King of Pop Culture after all). After these two, there will be nothing but GLA-exclusive top tens up and running on the site. Lists that you will not find here, so ya better get your butts over there and check 'em out. The first of these GLA-exclusives will be up this weekend, and it's gonna be quite spaceshippy indeed. Anyway, to keep track of these top tens, I have added a page to the tabs at the top of this blog, and so you don't have to scroll up right now, I have included a link to said page just below. Enjoy. Click here to find links to all my Geek League of America writings. So there ya go. I am the newest member of the JL...er, I mean the GLA. I've decided that I will be the GLA's Red Tornado. That's kind of a geek joke, so don't fret if ya don't get it. My lists will be coming at a weekly basis, so remember to keep checking back here for a new one. Of course I will still be doing my own top tens right here at All Things Kevyn, so it's going to be a frenzy of top ten goodness. Oh, and I will be doing the occasional news piece/blurb for the GLA as well. These too will be linked on the aforementioned link page. But enough of me. That's it gang. See ya 'round the web.